Effective tenant screening is important for every landlord, but for those who live far from their rental properties, it’s a lifesaver. Unfortunately, distance can create obstacles to finding the right tenants. A Calgary couple recently suffered a catastrophic loss after renting their former home — located seven hours away — to a family that they say damaged “every inch of the house” and stole appliances. In a news report, the landlords explain that they asked friends to drive by from time to time. While the outside of the house looked normal, these landlords had no idea that their tenants had caused so much damage on the inside over the course of three years. The tenants had appeared conscientious. Now, $14,000 in damages later, these landlords anguish over their decision to give this family a fresh start in their newly-renovated home. These landlords learned a hard lesson: Just because rent is coming in, that doesn’t mean the tenants are meeting their responsibilities. Going forward, they say, they’ll do things differently. Geographic distance between a landlord and tenant can cause a number of unique challenges. Unfortunately, there is no substitute for active property management. 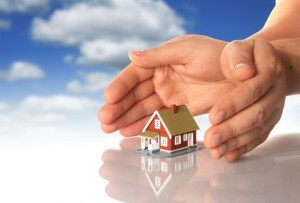 Routine property inspections, repairs, and maintenance are necessary to keep rentals profitable. This is true whether the property is rented to a long-time tenant or a new tenant every year. Use friends, family, or contractors to check up on the property, inside and out. Trusting tenants to self-regulate is too risky an option. No matter how experienced or intuitive a rental property owner may be, it is impossible to spot a rental applicant who is being manipulative just by listening. Charm is far too easy to fake, especially for professional tenants who will use flattery to soften the unwary. For long-distance landlords, tenant screening efforts may be thwarted by travel and time constraints. In the rush to meet deadlines, these landlords are more likely to go with “gut” feelings about tenants, and to forego proper tenant screening efforts, like verifying rental applications and running tenant credit reports. Cutting corners with tenant screening leads to income loss. A tenant’s friendly demeanor or sad story won’t change his or her bad rental history. When things do go badly, the only way for a landlord to be compensated is to go to court and get a judgement. That means locating the former tenants. Winning a monetary judgement feels like a great victory, but it will be hollow if the landlord can’t track the tenants or their assets. By requiring a rental application that includes references, personal contacts, employment, banking and other credit information, a landlord will create a road map that later can be used to track down the former tenants. Geographic distance can test the landlord tenant relationship. Before long, tenants may feel the landlord is a stranger. When tenants feel they are on their own, they are more likely to bend the rules. That can be overcome by staying in touch with tenants and actively managing the rental, regardless of the miles in between. Previous post: Landlords: Will Your Eviction Strategy Fail?